Music for the mind, waves for the dancefloor. Artefakt is a collaboration between Dutch producers Robin Koek and Nick Lapien that share a love for melancholic, hypnotic voodoo music. Joining their perspectives in a meticulous, hands-on working method, the two bring a balanced and hypnotizing sound to the club. Be it in the form of a dj set or their full- fledged hardware live set crystallizing in the mind and oscillating the body. 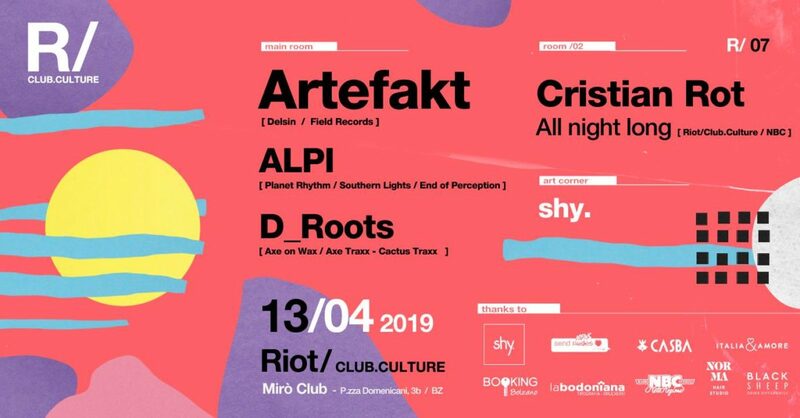 What sets Artefakt apart is combination of musical material, atmosphere and groove, captivating your spirit, whether you are listening quietly on headphones, or you hear the music pounding from a 10 foot tall PA at a rave.